The Flutainer® offers optimal storage and transport conditions for fluid, pasty products. It also saves valuable storage space, as it can be stowed away in a space-saving manner prior to filling and after emptying. The flexible, large container can be set up by a single person in less than one minute. Rigid containers require the same amount of space whether they are empty or full. This is not the case with the Flutainer®. The flexible, large container is only set up when it is required, such as to store liquid sugar, textile auxiliaries or pressure-sensitive dusts. 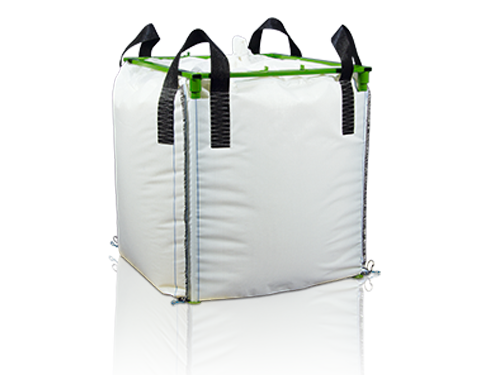 The Flutainer® consists of a fabric outer container and a multilayered PE inner foil, a wooden pallet, four steel supports and a stacking frame.